Tool and Technique Tuesday-Essential Threads! My kind of "ZEN" doodling with thread! Recently a quilting friend offered to order Essential Cotton Quilting Thread Sets together at www.connectingthreads.com as she was placing an order and advised me that this thread (50 weight 100% long staple cotton satin finish thread) is "wonderful". As quilters we often rely on others for excellent advice, right? So I took my friends word for it and ordered it. So this is my review of the thread. The colours are vivid as you can see above. There is 1200 yards or 1097.28 meters. So lots on a spool and it seems to last and last. I have used it for piecing, quilting and thread painting and it is strong! For me strong thread is vital and it is the ultimate test of a good thread. There is a tiny bit of lint with this thread because it is 100% cotton, but I think you will have this with most cotton threads. This cotton thread comes in lovely sets of 10: Saltwater Taffy (pastels), Bejeweled (as above jewel tones), Over the Rainbow, Fruit Salad, Country Garden, Countryside, Shoreline, Neutrals and Variegated (I want to try this one!! and will let you know when I do!). Most are normally $27.90 except Variegated which is normally $39.90 bringing the spools each to and affordable $2.79 (solids) to $3.69 ( variegated). These prices are affordable even with the US$, if you compare to other quality brands. If your order exceeds $75.00 US- you get free shipping and they send it Canada Post Expedited! Maybe a friend can also order with you to save on shipping? Give them a try, while they are on sale, I think you will love them too. 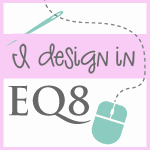 ​I encourage you to use the best tools you can to make your quilting and sewing easier and as beautiful as it can be. I discovered these threads several months ago & totally love everything about them & no issues with using on my Janome 6500. Sew now I use exclusively Essential Threads. I totally agree Lynne and thanks for your positive and honest comments!